Are You Sure You're Saving Enough for Retirement? When people think about wealth management, they often are thinking about retirement — and the singular financial goal of getting there. “How much do I need to live off in retirement?” they think, and then calculate a number from there. 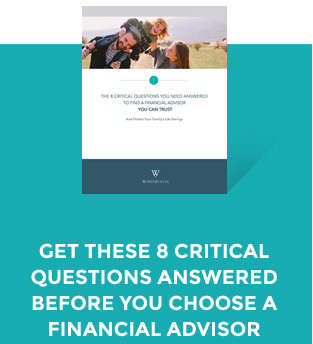 While that’s certainly a place to start, we recommend a more dynamic approach to your financial planning strategy. Why? Well, first, a flexible approach allows room for success no matter what changes come your way. And second, you may not calculate a high enough retirement number in the first place. According to a recent article from MarketWatch, you may need to have as much as 130% of your current annual income to live comfortably in retirement. That’s almost double the 70% number that’s often been thrown around. Life in retirement can potentially cost more than your current lifestyle. Are you skeptical? Here are a few factors that play into that number. You know those perks you talk about with your job? Sure, you have to travel a lot, but the airfare and hotel rooms are covered. Sure, there are long nights at the office, but meals are brought in or paid for. When you retire, those little perks disappear. And when you get the itch to travel or grab lunch out, it’s coming out of your budget. When you retire, what do you dream of doing? How will you be spending the hours you used to spend at work? Whether it’s traveling, mornings at the golf course, or time with friends, chances are spending will be involved, and even the smallest expenses, day after day, add up. Last year, Fidelity found that a 65-year-old couple retiring in 2018 will spend $230,000 for healthcare costs in their retirement years. This figure includes out-of- pocket prescription costs and Medicare premiums — and it’s up 75% from their 2002 number. Those retiring earlier than 65, not yet eligible for Medicare, will incur even higher costs. The rising costs of medical expenses and changing insurance regulations mean you need to have a solid amount set aside for medical bills — possibly more than you’ve estimated. How Can You Be Ready? As people live longer, retirement lasts longer, which means you need to have more money available to live on. One way to lessen the cost of your retirement is to work longer, if that’s possible for you. Do you and your spouse like to spend? Are there ways to limit your spending so you can live the life you want, while still sticking to your budget? We recommend working with a financial planner who really gets to know you and your financial habits so your entire strategy will be built around realistic expectations. Knowing how much you need in retirement goes much deeper and is far more complex than just calculating a number for year 1. Working with a financial planner, you will be able to work smarter towards building a manageable and livable plan that will allow you to truly relax and enjoy all your retirement years. Past performance is no a guarantee of future results. Information in this publication is made as of the date of this publication is published and is subject to change without notice. This publication is general in nature, does not take into account any person’s individual needs, objectives, or circumstances, and is not intended as personalized investment advice for any person. Investing in securities or engaging an investment adviser to manage a portfolio entails risks and is not suitable for all investors. WorthPointe does not guarantee or offer any assurance that its services or strategies will be profitable, will meet a client’s objectives, or prevent or reduce losses. Asset allocation, diversification, or hedging strategies cannot prevent losses in all markets. Investing involves risks and a client may lose money by investing through WorthPointe. This publication is not a recommendation nor an offer to sell (or solicitation of an offer to buy) securities or enter into an agreement for investment advisory services.